I actually LOVE having less options. As counter-intuitive as it is, I think it is more freeing to have less stuff to work with. My husband read some study or article that people were more stressed out when they had more choices, and I definitely feel that for myself! It's as if I'm in a time capsule myself this winter…because I feel like I'm wearing the same flannel pieces over and over again. 🙂 I just don't look as cute as you do on a regular basis. I think the smarter shopping is one of the biggest things I got from my capsule. I did shop more than I intended to, but I'm definitely happy with those pieces, and I thought more about how they fit into my existing wardrobe, unlike before when I just grabbed whatever that happened to catch my eyes. Looking forward to your new capsules! 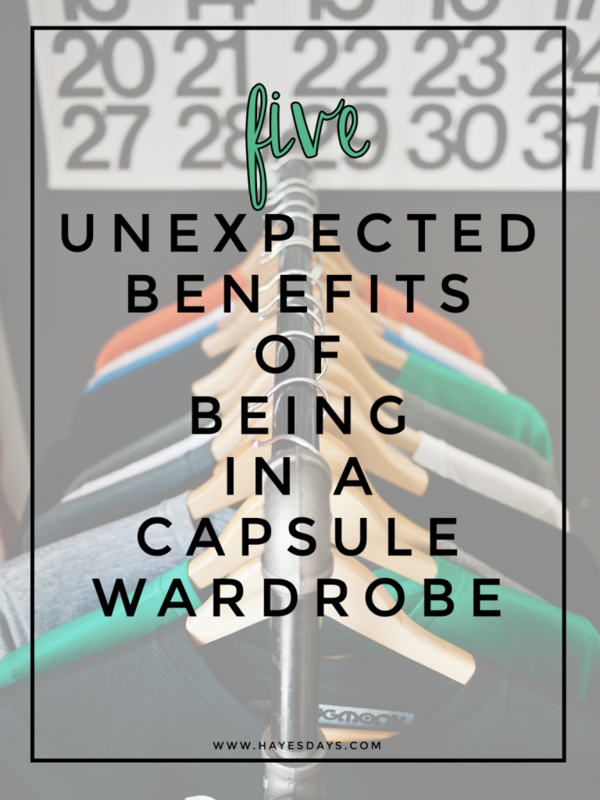 I am becoming more and more interested in doing a capsule wardrobe. I love variety, but I also love creativity. Great recap! What I really wanted when I was going into the whole capsule experiment in the fall was #2, and I was pretty pleased with how I really did feel like I always had something to wear – all the pre-planning really helped that, plus it seems counter-intuitive, but having fewer things really does make you feel like you have more to wear because you're not overwhelmed by too much choice. I was hoping for some of #5 too, and I have done a bit better with focusing on quality items in my wardrobe (vs. before, when I always said I should do that but then ended up at Target or the clearance sections anyway). Pretty pleased with how that's worked out too! Jess thanks so much for commenting! And for following me on IG too. Having less is such a weight lifted off me. I usually fund my new pieces by selling old ones, so the funding is kind of weird too. That's been a funny part to me. I've purchased some new pieces because I felt like I needed a jolt. Too much color similarity. I hope to have everything by the end of this week. I think you can have both in a capsule wardrobe. It takes some time to build one that you can get both in. Exactly. anything I brought home i thought quite a bit about how it would work with what I was already wearing. Oh pssht! You totally are adorable on a daily basis. I can completely agree with that.Though it doesn't make a ton of sense, it just works.